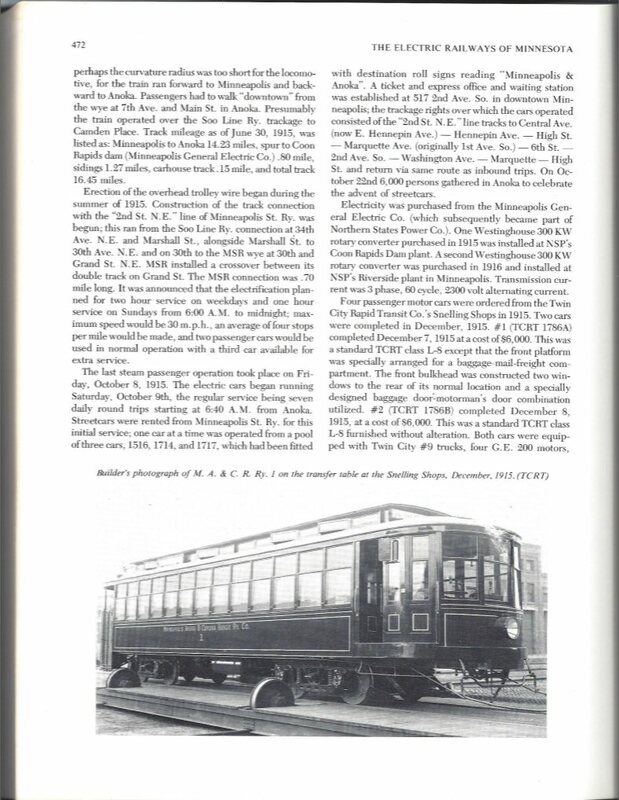 Minneapolis & Northern Railway | The McKeen Motor Car Website Minneapolis & Northern Railway | The Compendium of Knowledge on the McKeen Motor Car Company, and their experiments. 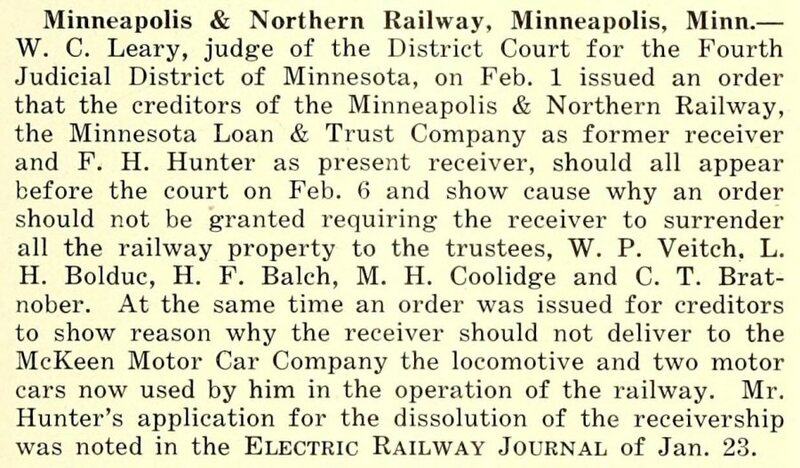 The Minneapolis & Northern Railway reportedly bought two freight McKeen Cars, which, in times of high freight transfer, removal of the bench seats would allow the car to turn into freight motor car and in times of high passenger counts, the seats could be reinstalled and then it would be a Passenger Motor Car. However, though reported through many many sources, the order must have been changed as the cars are photographed as being regular 55′ motor cars. 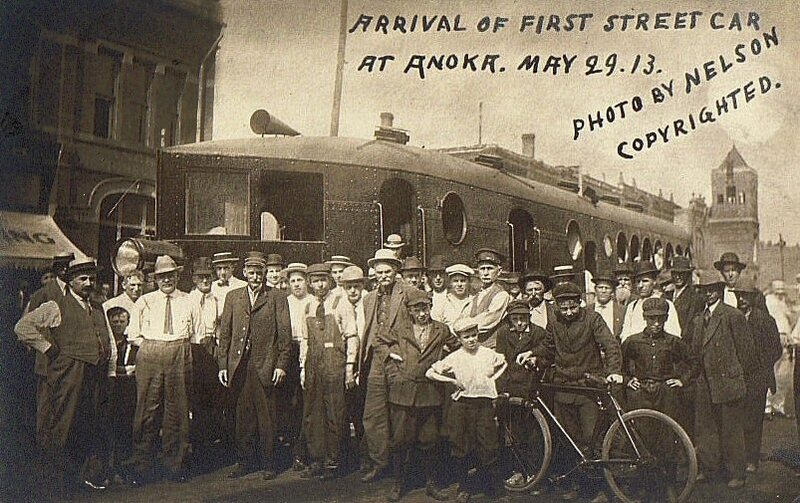 Pictured are the Motor cars “Minneapolis” and the “Anoka.” It is clear that the “Anoka” was a baggage/passenger motor car while the “Minneapolis” was strictly all Passenger. 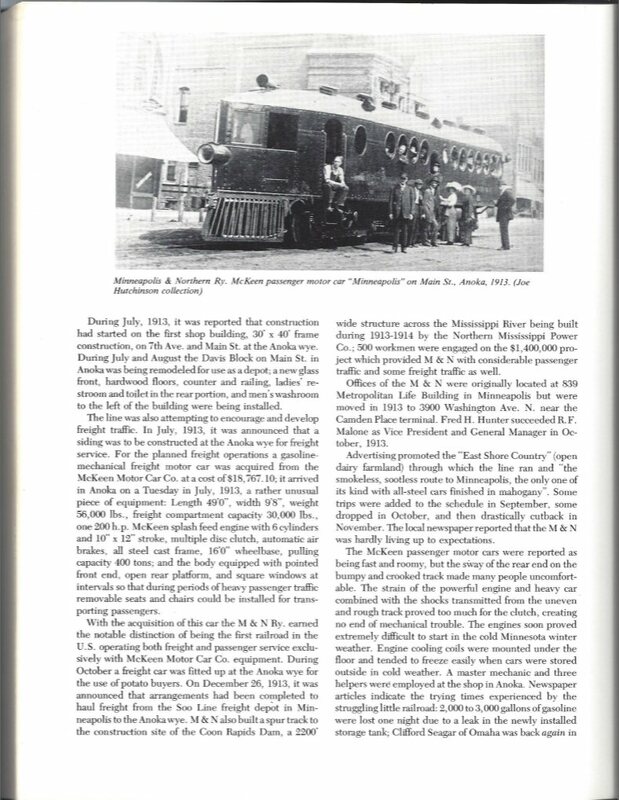 They also hung railroad lanterns from the acetylene pipe that feeds the headlamps, not a usual practice. 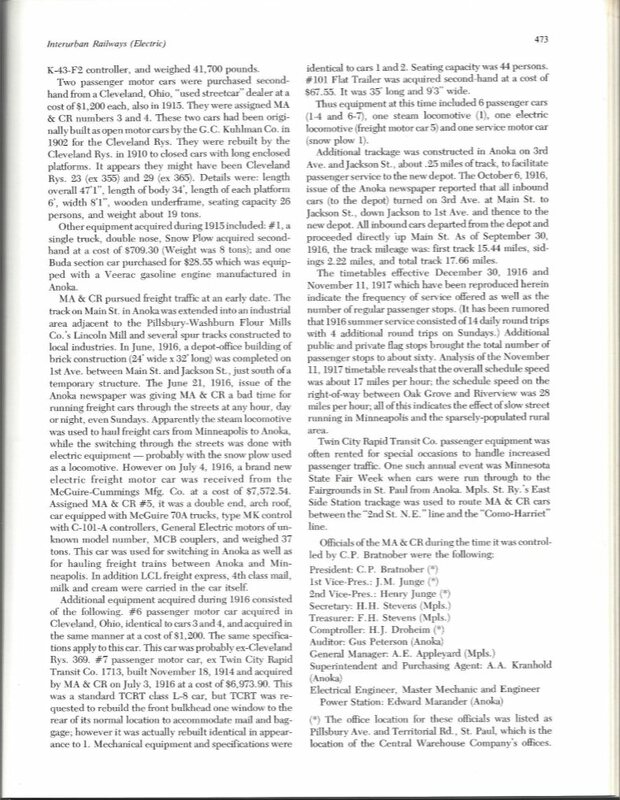 The following is from “The Electric Railway Journal” June 27th, 1914, Page 1469. 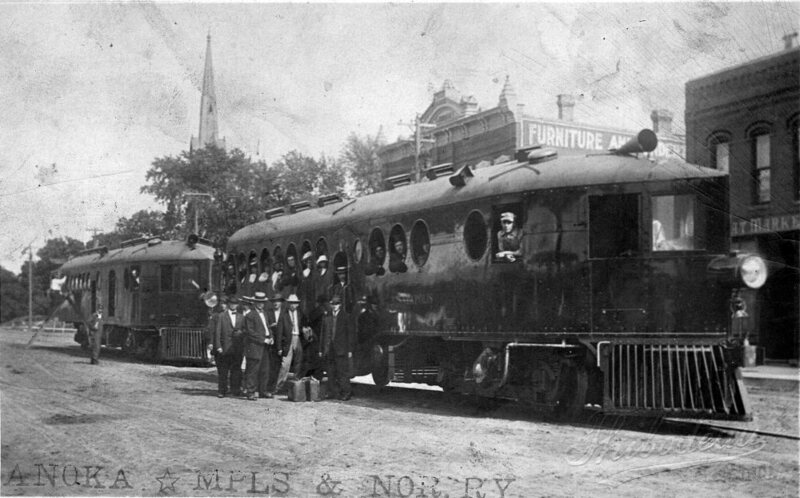 Side view of the proposed freight Motor Car for the Minneapolis & Northern. 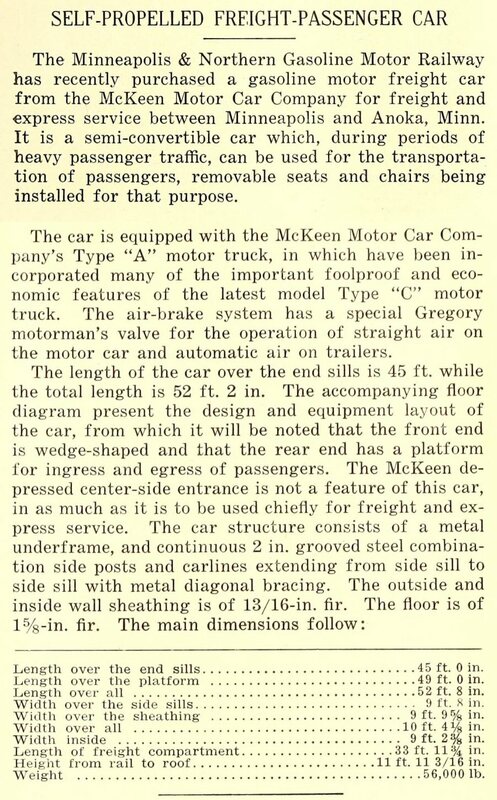 The following is from the McKeen Motor Car Co. 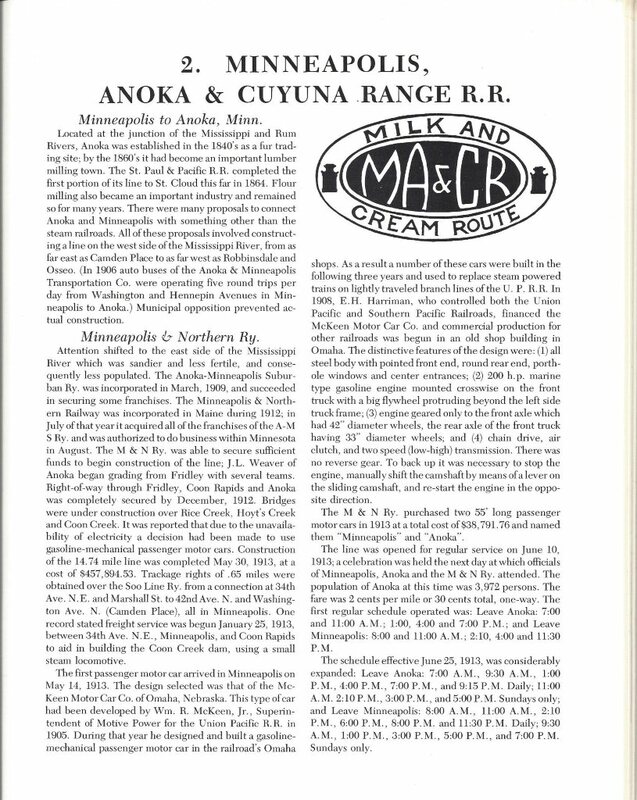 Catalog published 1912. 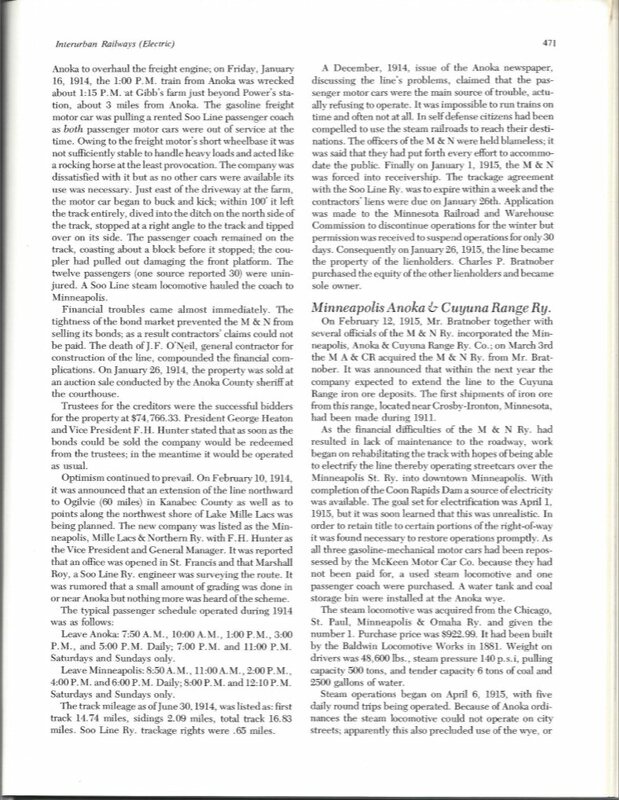 A Blueprint showing the catalog rendition of a freight motor car, much like that proposed for the Minneapolis & Northern. 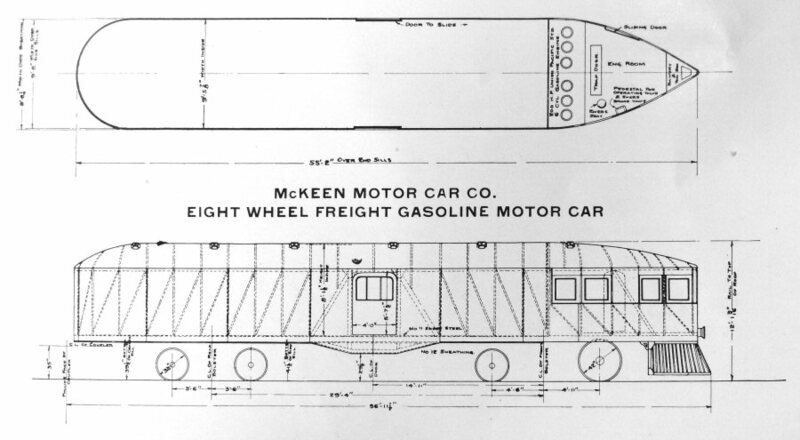 The notable differences are that the catalog drawing lacks a rear platform and windows in the freight room, while the M&N drawing shows a distorted and unusual nose for a McKeen car.